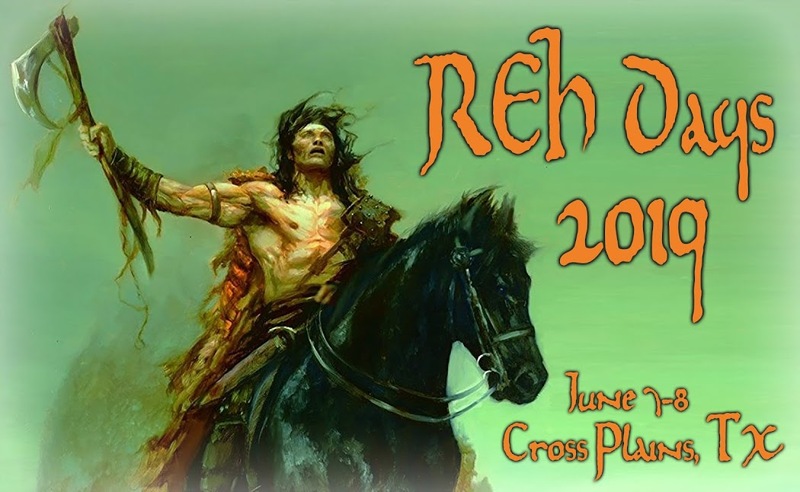 The very first Robert E. Howard Days took place June 13-15, 1986. Ten intrepid Howard Fans gathered in Dallas at the behest of Rusty Burke and then transported themselves to the magical realm of Cross Plains, Texas, to celebrate the life and work of a true Texas and American original, Ol' Two-Gun Bob Howard. 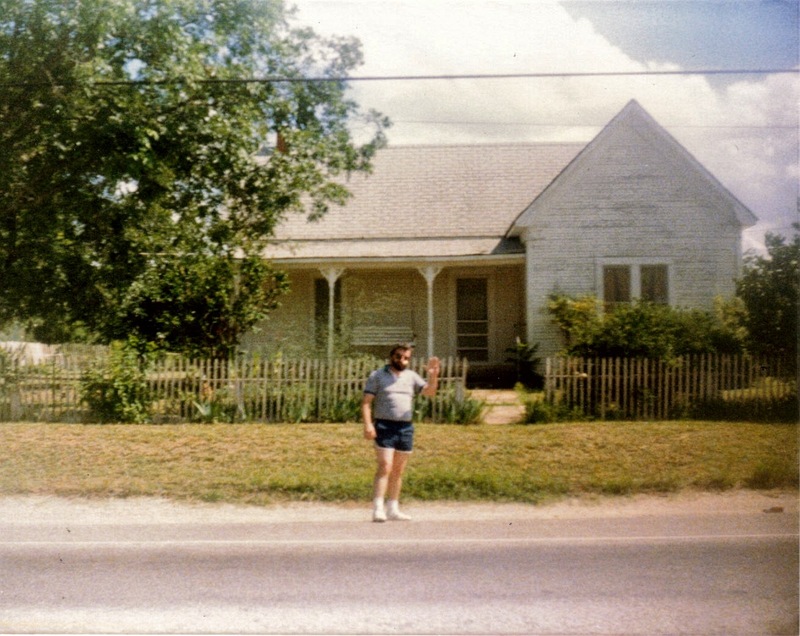 "Indy" Bill Cavalier poses in front of the house as it looked then, a ramshackle mess of a structure. We were able to tour the outside grounds (the owner's wife was elderly and infirm so we didn't go inside), but just walking the same ground where Howard trod was an emotional experience for us all. Fortunately for us all, the citizens of Cross Plains realized that they "had" something here. They wisely formed their civic organization Project Pride, bought the house and restored it to its current beautiful state - that of The Robert E. Howard Museum. With their foresight and continuing support from fans around the world, the Legacy of Robert E. Howard is ensured for many years to come! Howard Days 2014 takes place on June 13 & 14. There's plenty of room for all to come & visit (it is Texas, after all! ), enjoy the company of good friends, sit in the Pavilion with a cool drink and tell your story about REH and continue to further his Legacy. Hope to see you there! Y'all come!